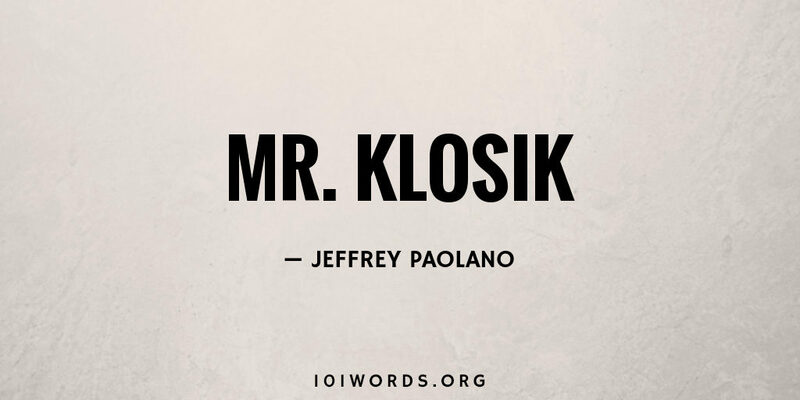 “How are you today?” asks the attendant as he places the paper plate and paper coffee cup before Mr. Klosik. Finished, Mr. Klosik places his plastic utensils diagonally on the plate with the paper cup. Having waited for staff to notice he’s finished, he begins to rock his chair wheels. “Alright, Henry, I’m here,” says an attendant. With that, Mr. Klosik jams the wheel with his foot, causing the chair to careen into a table, scattering the lot. sad….makes me think of the horrid conditions in which our elderly and disabled have to live when they can no longer be at home…even the attendants are mean, cruel, and dismissive. such horrible places to live.